Goodwill South Lake Union is a destination for fashionable shoppers. The store’s boutique size is easy to browse, and the “Fashion Focus” section spotlights on-trend items. Treasures include everything from like-new Coach purses to something for furry friends from the pet section. Feel good about supporting Goodwill’s free job training and education programs and saving 40 million tons of great finds from the landfill. Seattle Cancer Care Alliance’s Shine serves cancer patients, families, and anyone with great taste and a big heart. Those in treatment can find specialty apparel, skincare products, hats, and more. Free head shaves and wig and hair trims are available to patients and caregivers. For any occasion, choose from stationery, books, and local products such as glassbaby votives. All proceeds benefit patient and family programs. 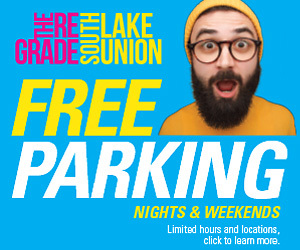 Visit during Fa La La La Fridays (every Friday in December) for holiday discounts. Stretch your limbs and giving spirit at Be Luminous Yoga. The studio hosts donation-suggested community classes on Tuesday and Thursday evenings with all proceeds donated to YouthCare, which provides shelter, education, employment training, and more to Seattle’s homeless youth. Feed your charitable side at FareStart. The restaurant serves lunch on weekdays and holds Guest Chef Night every Thursday. Lunch spotlights seasonal fare alongside perennial favorites such as the vegetarian Reuben. The large wooden communal table is a great spot to meet new friends and peruse the wall of colorful, decorated plates. Guest Chef Night hosts Seattle’s culinary rock stars as they prepare gourmet, three-course meals. All proceeds benefit FareStart, whose programs include food-service job training and placement and more than six million meals served to those in need. Whole Foods Market South Lake Union hosts its annual Taste of Thanksgiving event on November 5. For $5, enjoy traditional Thanksgiving foods, with all proceeds benefitting FareStart. The market offers several community giving events throughout the year. 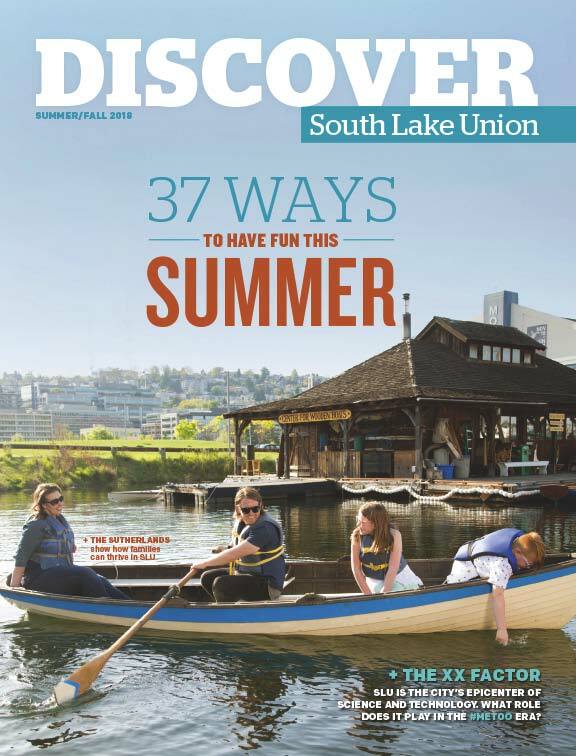 This article appears in the Winter/Spring issue of Discover South Lake Union magazine. Seattle Cancer Care Alliance’s Shine store sells stationery, books, and local products to support patient and family programs and offers specialty products and services for patients. Proceeds from FareStart’s restaurant provide job training, placement, and more meals for those in need. Whole Foods Market South Lake Union hosts its annual Taste of Thanksgiving on November 5.